Activision / Bungie Legal Document Leads to Accidental Confirmation of XBOX 720 / PS4 Release dates? UPDATED: Activision / Bungie Legal Document Leads to Accidental Confirmation of XBOX 720 / PS4 Release dates? While PS4 and XBOX 720 are hush topics by their respected makers it seems that a legal document being exchanged between Bungie (famous for the Halo Series) and Activision (Famous for the Call of Duty Series) It seems that both studios were passing around a legal document showing interests in potential projects for both future consoles, while no proper names were in the documents we know that a couple of games will launch in 2013 / 2014 for the future consoles, but could these be launch titles for the consoles or follow up titles? Since Microsoft and Sony are all but talkative about their next generation consoles it seems that Bungie and Activision were more than ecstatic to throw those names around in a legal document which contained names and dates of games to be released on both platforms, but whats really surprising is how they speculate on 2013 / 2014 release dates for both games which means that their games can either be launch titles or even follow up titles leaving the window of a release date wide open and up for question. As far as the legal document details here is what is known; a game called “Destiny Games #1 will launch for the XBOX 720 in Fall 2013 and is said to also be compatible with the XBOX 360, and then the document moves on to PS4 games, “Comet #1” is set for a 2014 release date for the PS3 (could this mean no PS4 even in 2014?) and “Comet #2” for the PS4, but just because this project is listed for 2016 release date it doesn’t necessarily mean Sony is going to be relaxing in their easy chair while Microsoft has already pushed out their next generation console and Sony doesn’t want to compete with them right? 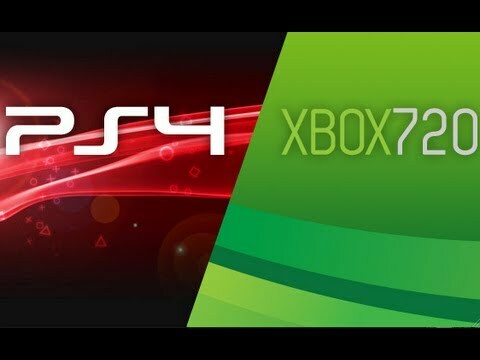 While these don’t help us in seeing the release dates of either console any better it still helps to see something concrete for once regarding future generation consoles but some solid release dates from both companies at any future electronic / gaming convention would help satisfy the sea of next generation consoles. -Massively multiplayer style, sci-fantasy action shooter series codenamed Destiny with expansion packs codenamed Comet. -Four games releasing in 2013, 2015, 2017, and 2019. -Four expansion packs releasing in 2014, 2016, 2018, and 2020. -The main games will be retail. -There will be other DLC, subscriptions, microtransactions, and value added services. -The first game will be an Xbox 360 and “Xbox 720” timed exclusive. -Activision and Bungie are considering a PS3 version of the first game in 2014.
those SKUs may be dropped if they decide they are not worthwhile or not technically feasible. -Activision can terminate the contract without penalty if Destiny doesn’t sell at least 5 million units in the first six months, or for any reason they please after the second expansion pack releases. -Bungie is also working on a Marathon game, but currently no more than 5% of their staff (nor more than 5% of their key staff) can work on it, and the amount of employees that can work on it goes up slowly as they hit cumulative profit goals. There are also limits on when Bungie can release Marathon. For specifics on this see the contract images at the bottom since it’s pretty lengthy. -The game is targeting a rating of Teen/PEGI 16, but Bungie is not contractually held to hit this mark. -The contract implies the game has in-game game masters, like those people who work for Blizzard and handle user requests in World of Warcraft while playing some kind of digital representation in the MMO world (or at least being accessible through in game chat). -Bungie will receive a $2.5 million bonus if Destiny achieves a GameRankings.com rating of 90 or higher on Xbox 360 as measured 30 days after release. -Bungie will also get a 20% royalty of the first $100 million in cumulative operating income, 24% on the income between $101-$400 million, and 35% on the income $401 million or above. These royalties are subject to a penalty of 2%, 2.4%, and 3.5% respectively if the games are delayed for reasons caused by Bungie within reason (i.e. if an earthquake destroys their studio they’re not at fault, but if they just don’t get the game done on time they are). These last two bullet points I’m leaving in the contract itself to cut down on OP length.